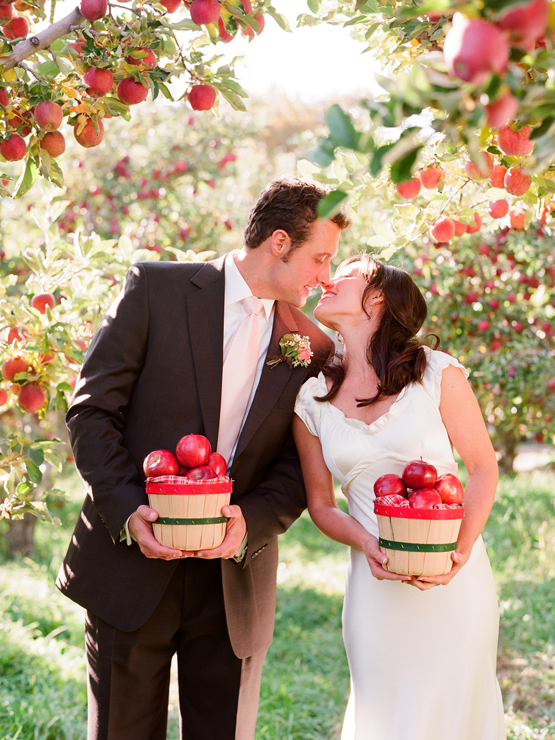 Choosing a venue for a fall wedding is an exercise in vision. A successful choice of locations for an autumn nuptial will reward the bride with memories and wedding photography that should make any bride proud. The standard, over-used, modern wedding venues such as hotel ballrooms and golf courses are fine for brides who want a wedding just like every other wedding they have attended in their life. But for the bride bold enough to plan a wedding that sits outside the traditional wedding season, same ol' same ol' is not enough. Rather, choose a location for your wedding which will pay dividends for you, your wedding photography, and your guests by rewarding you with a sweeping view of the beauty of the fall season. Orchard: An orchard brings built in leaf color opportunities. 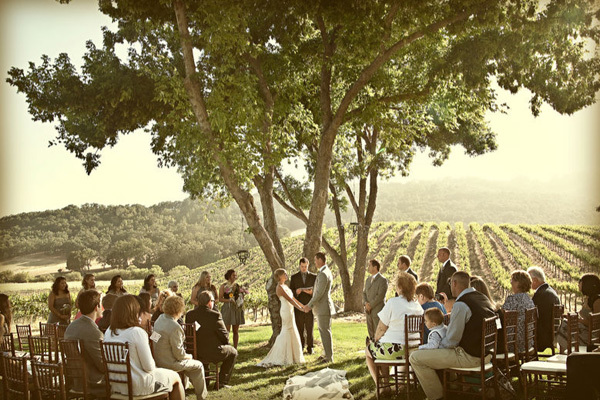 Create your own outdoor chapel with colorful trees providing the decor. Barn: One of the most memorable wedding venues I have ever seen was created with an old weathered barn as the starting point. The bridal party took long swaths of off white fabric and hung it from the rafters to transform the rustic structure into a tasteful cathedral. Of course you can dress it up or down from there. Add hay bales, gourds, pumpkins, and bushels of the fall harvest or dress it up with white chairs and silver accents. 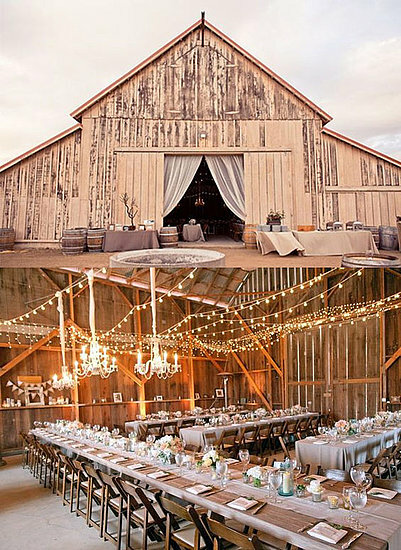 Either way, whether you leave the doors open so your guests can admire the changing colors of the season or wait to throw the doors open after the celebration a barn could make a great venue for your fall wedding. Countryside Lodge: Imagine your fall wedding in a lodge nestled in the hills (or better yet, mountains) with a glass wall revealing the grandeur of the season's colors. Enough said. Old Country Church: Long eschewed by modern society, these old structures offer character that you just can not find anywhere else - and by definition the location of many of them makes them an ideal backdrop for an autumn wedding. Vineyard: In many ways this offers the same opportunities as an orchard, except vineyards are often already equipped with venues designed to accommodate the general public. Park: In your town, you know where to go. Remember the color of Central Park in New York? What about Stanley Park in Vancouver, B.C.? Millennium Park in Chicago? Boston Commons? You get the idea. Of course you have to adjust to local weather considerations. For example, it rains a lot in the fall in Vancouver so an outdoor fall wedding might not be feasible. So it might be necessary to choose a hotel or restaurant (or the aquarium?) with views overlooking Stanley Park for your wedding. Other cities might not allow weddings in the park. Check with you local municipalities. Zoo: Many major zoos have facilities ideal for hosting private functions and the nature of a zoo is to design a place that brings a little bit of the wild into the city. 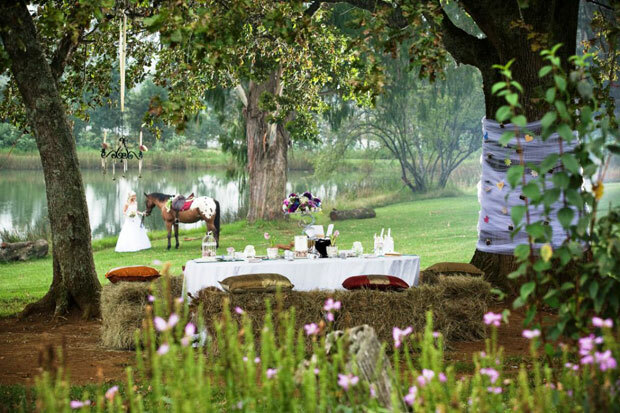 That is a perfect scenario for one looking for a great fall wedding venue. Estate: Every community has a number of estates that have been cultivated over the years in an attempt to bring a little bit of the best of the countryside back into the city. Some of these are made available for special events and make a great venue for a fall wedding. Old Church: The old churches of the city are much different than the quaintness of the old country churches. These tend to be bigger, often made of stone and are appropriate for grand wedding celebrations year around. For a fall wedding, however, you want to find one that has managed to maintain grounds around the building or is next to a city park that will reward you with a dramatic view of the glory of the fall season as you exit the church as a newly married couple. These are just a few suggestions for fall wedding venues. I doubt it is possible to exhaust the possibilities without traveling to every hamlet in the world, but these are a good place to start. Ultimately, if you want to put together a fall wedding you can choose literally any venue that will reward you with a sweeping view of the color of autumn and not go wrong.